Last week the Modern Makers spent the day with Ruth Jones in her studio in Moniaive. Ruth's work is inspired by prehistoric Beaker ware, Romano-British and Medieval wares, Staffordshire slipware and other world ceramics. Ruth uses various techniques in her work creating hand thrown, brightly coloured tableware and smoke fired hand-built forms. 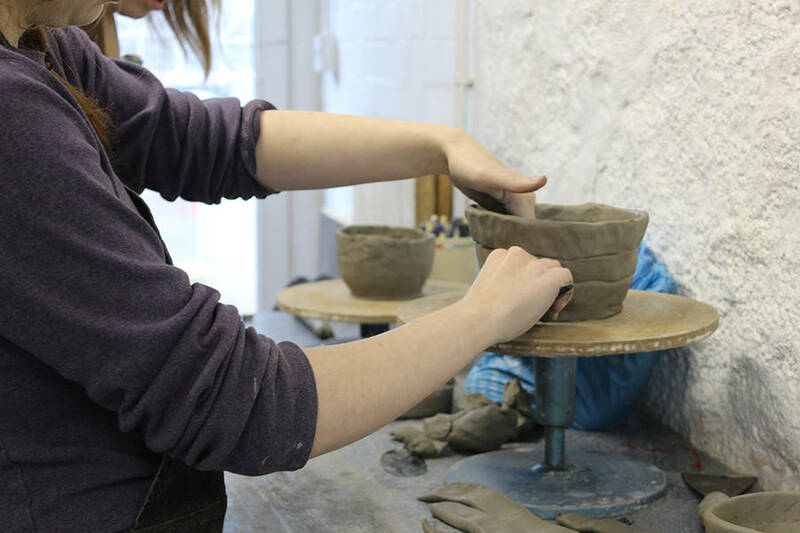 The day focussed on coil building, building up layers by hand before smoothing out the clay to create small pots.